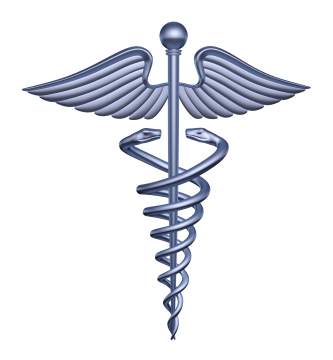 MD Resources is one of the leading physician recruiting firms in the United States. We are centrally located in St. Louis County, Missouri which allows us to provide physician recruitment services nationwide. Our experienced physician recruiters offer exceptional personalized physician recruitment services to both our clients (healthcare organizations) and our physicians. The difference between MDR and other physician recruiting firms is that we take the time to listen and explore what is important to both our clients and our physicians. Our knowledgeable physician recruiters complete an in-depth file on each of our clients that includes the job specifications, the history of the healthcare organization, and the demographics of the community, including cultural and recreational activities. The physician recruiters also complete an in-depth profile on each candidate, which includes their CV, family information, medical training, references, future goals for longevity, and the physician’s specific search requirements — type of practice, location of practice, call coverage, salary expectations, etc. A large part of our physician recruitment services comprises marketing both practicing and resident physicians who are actively looking for new jobs. This is a never-ending component of physician recruitment. All of the candidates that we identify are placed in our physician recruiting database that can be searched by numerous criteria that you as the client present to us. That’s right, we allow our clients to choose how much involvement or assistance they want from our physician recruiting firm. Our professional physician recruiters are always willing to provide our clients with the full spectrum of our physician recruitment services — screening candidates’ CVs, conducting reference checks, coordinating interviews and/or travel, providing post-interview candidate feedback, and assisting with contract negotiations. MDR physician recruiters are also ready to accept direction from our clients and to work together as a team with the ultimate goal of bringing a new physician to your organization. Our seasoned physician recruiters have successfully worked together with thousands of in-house recruiters, administrators, executive directors, medical directors, CEOs, and practice managers to bring new physicians to their organizations. Why not let them begin to help you? Contact us today by phone at 636-536-6656 or submit your job listing below.